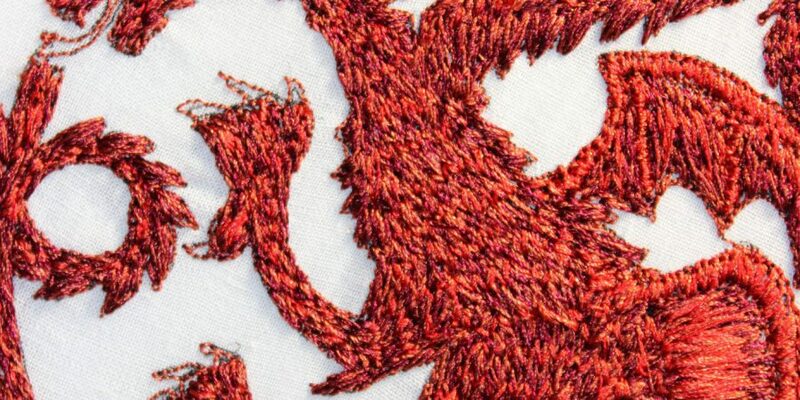 The sigil of House Lannister done in yellow, scarlet and gold metallic threads with gold bullion/french wire for the the mane and silver for the claws. 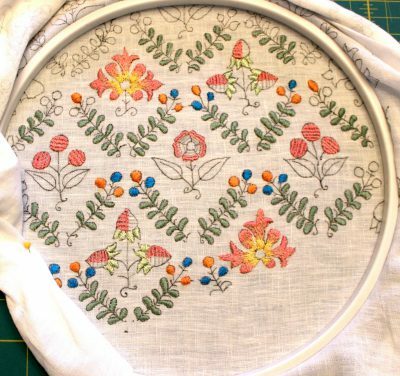 Free motion embroidery and hand couch work. 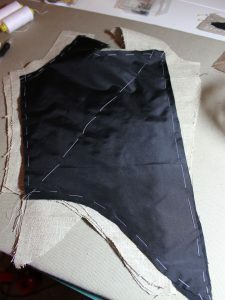 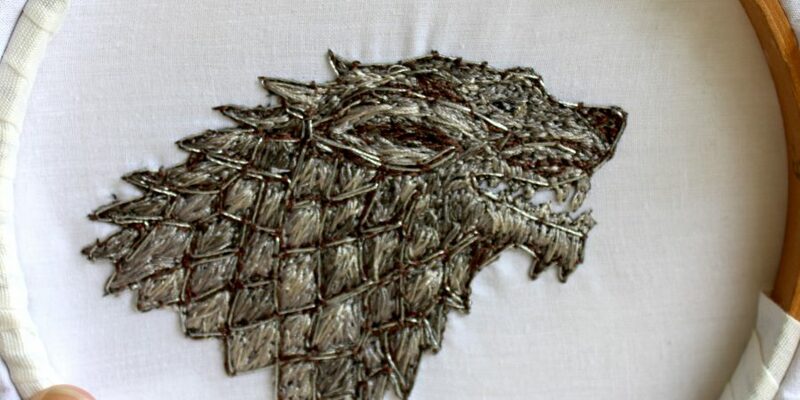 A series of photos showing the process of free motion embroidery on House Targaryen’s sigil. 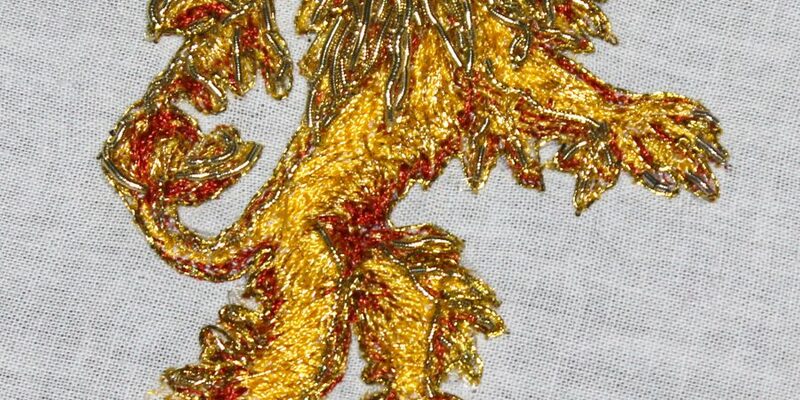 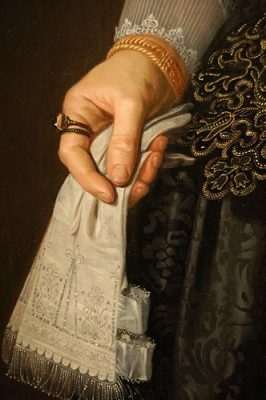 Polyester threads on cotton muslin background, with silver bullion accents on the claws and eyes.